Millcreek Herbs LLC - Herb Articles - Healthcare: Restorative Herbs - Dedicated to the understanding, wise use and enjoyment of herbs. Merry's articles and herbs research will help you to learn more about medicinal herbs, culinary herbs and the wellness benefits of Complimentary Alternative Medicine (CAM). Last Saturday, a fit but pale woman visited my Millcreek Herbs booth at the downtown farmer's market. She shared with me that she had recently done a couple of liver cleanses and two gall bladder flushes. She asked if I had any herbal products that I would recommend for such cleanses as if she were considering doing additional ones. A couple of weeks before that, a woman sat in my office and described all the different therapies she had tried to cleanse her liver and gall bladder which includesd many "muscle-tested" capsules, fasts, drinks, essential oils, trips to the chiropractor and now a particular diet designed for her blood type. She complained of a continued sense of unease and slight discomfort in that part of her body in spite of her efforts to adhere to strict guidelines for all the therapies she had tried. Though neither woman had been diagnosed by a doctor with a physical problem, they both indicated that they felt a strong need to use numerous cleansing therapies. While conversing with the first woman, it occurred to me to mention a perspective which she agreed made sense. I suggested that, rather than continue to push her body to stimulate organs so they would eliminate wastes and toxins, perhaps now would be a good time to consider entering a restorative phase to nourish and tonify her body systems that had been affected. In herbalism, we have interesting terms for the actions of herbs. For example, nervines support the nervous system, carminatives calm the digestive tract and hypnotics induce sleep. Restorative herbs are chosen to match the condition one wants to improve and bring into better balance. In choosing a restorative, it is essential to know the broad spectrum of therapeutic value an herb can have and which herbs are appropriate for the particular organ or body system with which you are working. When is a restorative in order? You have just finished a liver cleanse that probably stimulated the liver and colon in order to eliminate waste. Some herbs to consider using as restoratives are turmeric to protect and support the liver, along with dandelion leaf as a liver tonic. Marshmallow to sooth and flax meal to nourish the colon would be nice additions, as well as a broad-spectrum probiotic to restore healthy colon flora. You have trained for and run a marathon. Once complete, teas of herbs high in nutrients would be beneficial to restore the body's balance of minerals. Nettle, alfalfa, and even horsetail (which is high in silica, the building block for all connective tissue) would be useful. The same combination would work well after participating in a sweat lodge. After a shock such as a family member being seriously injured which requires you to spend a week at the hospital bedside, it would be a good idea to use herbs to ease stress, nourish the nervous system and help you to sleep. Oat straw combined with chamomile and lemon balm would relieve stress. Hops, valerian, passionflower and lavender would promote relaxation for better quality rest. Hawthorne is a wonderful heart tonic. Essential oils and the subtle energies of flower essences would be useful too. These combinations would be helpful in grief situations as well. After a wretched cold, mullein leaf and and osha root are useful to tonify and moisten the lungs. Echinacea and cleavers support the immune and lymph system. 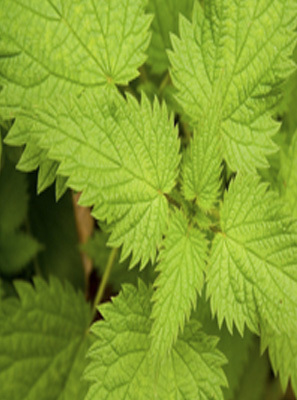 Yerba mansa and goldenseal tonify sinuses and mucous membranes. A cancer patient visited me and asked if I could offer any herbs to help him feel better. He had been through a difficult treatment period and now felt exhausted. Nothing in his body seemed to work like it used to. His digestion was off, it hurt to swallow and his mind was sluggish. He looked pale and spent. What herbs did I have to help him? Lots! I think restoratives can be most beneficial for cancer patients. Although some herbs can interfere with the effectiveness of cancer treatment, once the grueling ordeal of chemo, radiation and pharmaceuticals has ceased, the patient is often depleted in every way. Serious complications in the digestive tract, skin and other body systems often occur. I think it is reasonable to consider using herbs to heal and mend injured tissues. Herbs could even help ease the psyche from lingering worry and anxiety and improve a person's energy level. Before using any herb, a person should be aware of the scope of potential action in the body to be sure it will have the desired effect. Herbs often stimulate organs to heal, which in some cases is a good idea. Other times, we should allow for gentle, nourishing and tonifying effects of herbs to restore normal function.